click photo to enlarge I read many magazines that list things to see and do in Southern California and when see something interesting I rip it out. It was a dreary rainy winter day so I got out my stack of places to go. 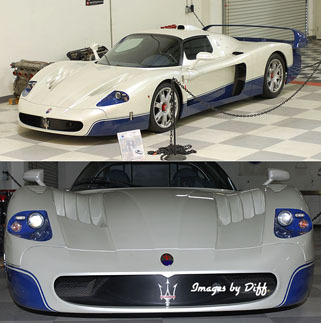 The article on this museum was from September of 2006. I decided hey looks good. What a nice find. The museum was very good and the docent was great. 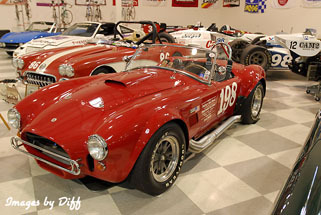 It is on the famous Riverside International Speedway and besides the cars ahs a great collection of memorabilia. He walked me through telling me about every car. 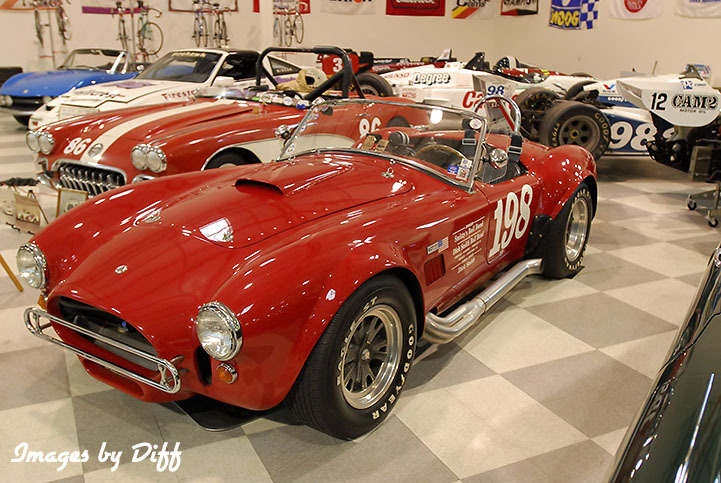 This particular Cobra, and yes it is original and not a kit car, was the winningest Cobra built the story goes. Currently valued between 5 and 10 Million $. 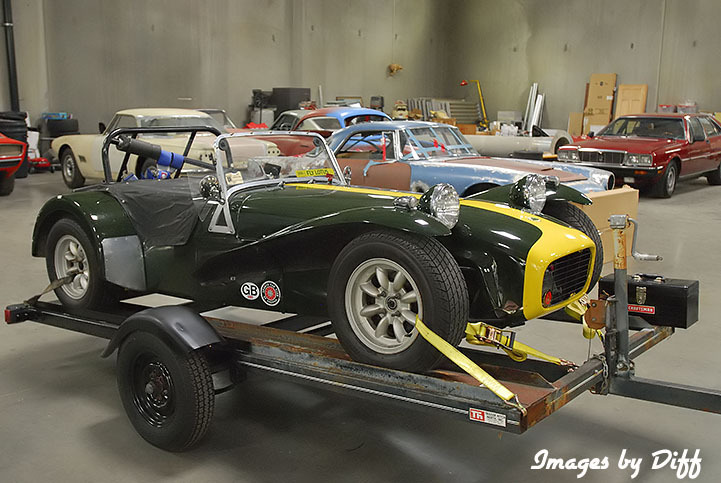 click photo to enlarge There is a collection of 6 Gurney Eagle race cars and many other street cars. The day I was there a couple of the cars were already out in the desert for a Classic Concours d'Elegance car show in La Quinta. A couple more were on trailers waiting to be driven there. 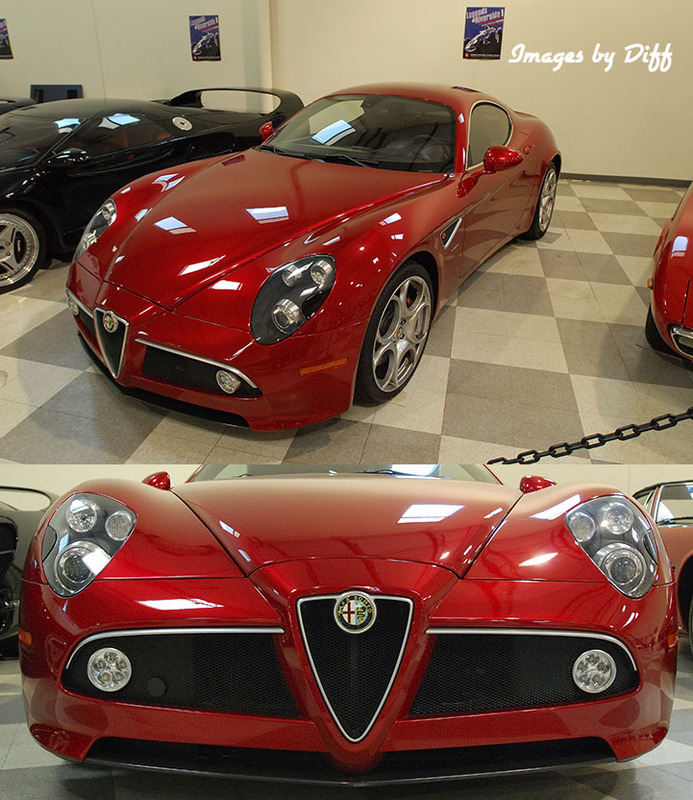 Because of that he took me over to another building where these two cars were. 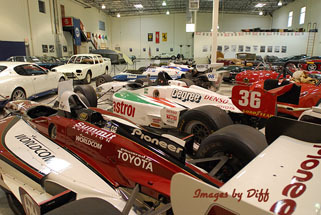 This building housed many upcoming project cars so was a great treat. click photo to enlarge The Lotus on the left was the Docents vehicle and it was originally his fathers and it has been raced in may races. The Maserati MC12 Stradale below is a natually aspirated vehicle with 620 HP and capable of 205 Mph. I don't recall the model of the Alpha Romeo in the lower left but it was a thing of beauty. Now when Karen gets back and all the cars are there I am sure we will both go visit again.